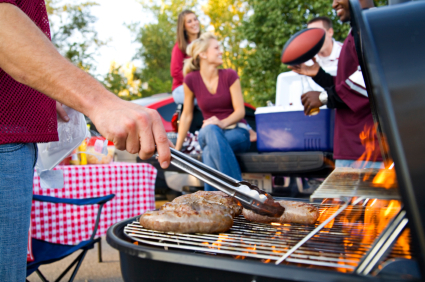 It’s officially summer, so that means trips to the beach, afternoons at the baseball game, and good ol’ American BBQing. Even though BBQing is steeped in tradition, there are always a few hot trends for each particular season. The summer of ’13 is no different. According to grill manufacturer, Weber, “Smoking is 2013’s hottest cooking trend, allowing you to slow-cook and flavour food in new and imaginative ways.” This style of BBQing has been around for a while, but our guess is that popular cooking shows like Diners, Drive-ins, and Dives, have shined a light it. Now, in the spotlight, people are smoking Ribs and Briskets at their own parties. In recent years, more and more people have discovered that they’ve been living with an intolerance to Gluten. As this become more of a common occurrence, we’ve seen an influx of products catering to those consumer’s needs. That’s why you’ll be seeing gluten-free buns for hot dogs and hamburgers at your next get-together. At chez vous, we make a point to cater to food specifications for any guest. Please make sure to let us know if there’s anything special we can do for you! Chez Vous offers, not one, but five BBQ menus, should you be organizing that needs catering. Our traditional BBQ menu can be found, here, while our Western, Luau, Cajun, and Southern BBQ menus can be found, here.